How did I end up in a café in Vienna eating the best chocolate cake in the world? I’d like to say it was all planned. 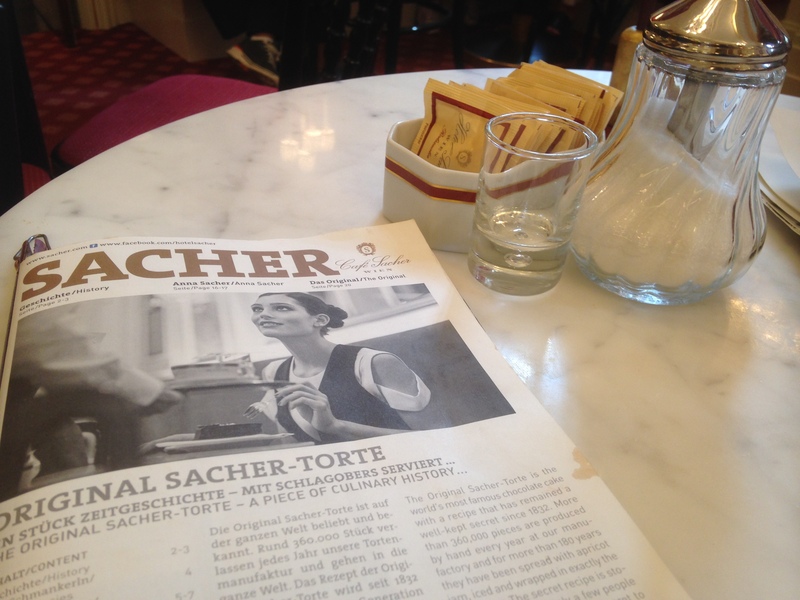 That chocolate-cake-eating in Vienna was all part of the itinerary – that of course I knew all about the Cafe Sacher, where they have been making this amazing thing called Sachertorte since 1832. The truth is that – like so many of my ‘discoveries’ – it was here all along and I stumbled upon it. I am a shameless Christopher Columbus in this respect, as are so many of us travellers and bloggers. Look what I found! The best chocolate cake in the world! No one else knows, and I am sharing it with you! 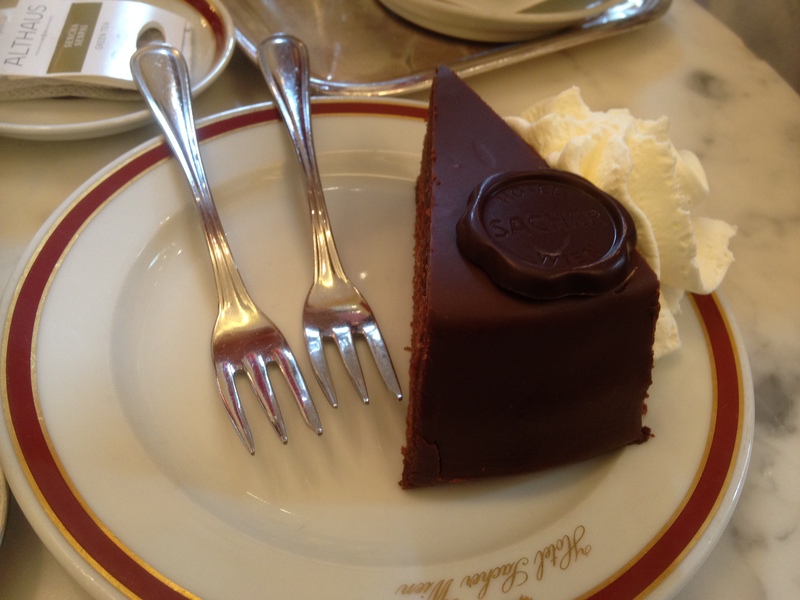 Turns out, I am about the only person not to have heard of Sachertorte before. Partly because I’m not really a cake person (sorry, I can only keep apologising) and, partly, because I’m not really allowed to eat cake, what with the wheat and all. The two things may be linked. All of which goes to explain why, on a rainy day in Vienna, when we’d had enough of pounding the streets, Elaine said, “Why don’t we go in here, apparently the Sachertorte cake is amazing”. So, like so many times on my travels, the experience found me, rather than the other way round, and now I have a cake story. However, as you might have gathered, I’m not really the best person to offer an opinion. Elaine, on the other hand, knows all about cake and from about 28 seconds in to the video I made, you can see her getting very familiar with a stonking slab of Sachertorte and giving it her seal of approval. Plus there is a slo-mo cake-eating action shot, which is all very exciting too. 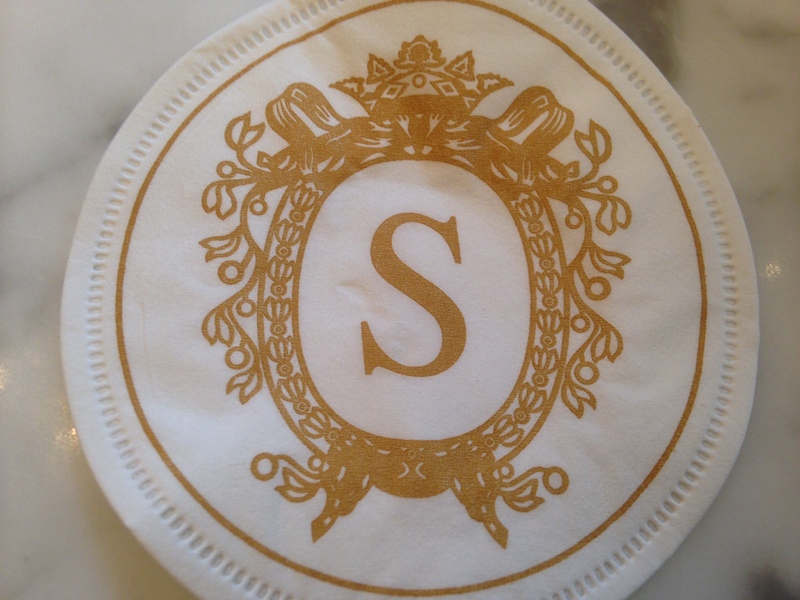 What I loved was the unexpectedly glam experience that is the Café Sacher, from the formally dressed waiting staff to the chandeliers and oil paintings. You might have to wait in line, but people who love cake tell me this is entirely normal practice, and once you’re in, everything is just so – marble tables, courteous service, monogrammed tableware, and a real flavour of old-school Vienna. 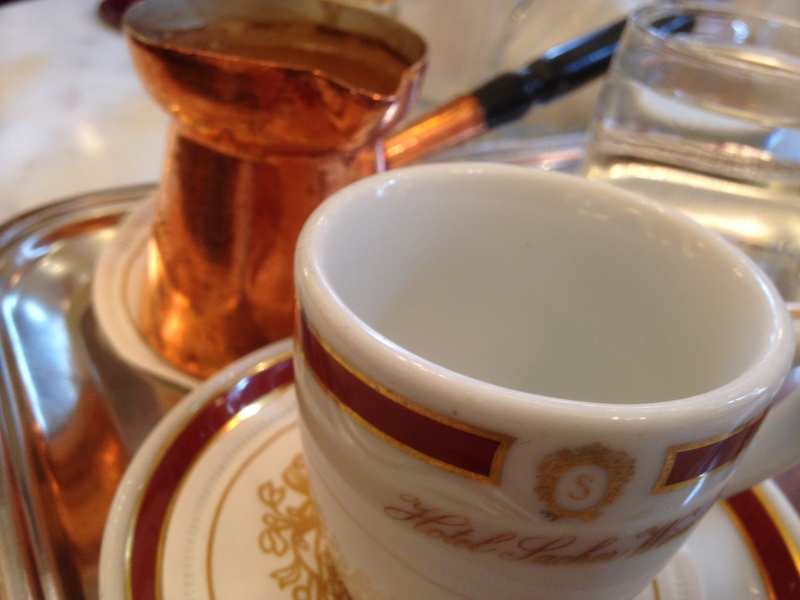 What really sold it to me was the coffee – thick, strong and poured Turkish-style from a little copper jug. I’d say that the Café Sacher fits right in with the other grand cafe experiences I’ve had around the world – Claridge’s in London, Betty’s in York, afternoon tea at Raffles Hotel in Singapore – and is definitely worth seeking out if you’re in Vienna. And Elaine says she’ll come too – show you where it is, test the cake for you, that sort of thing. Just let her know. I am now desperate for cake. My cousin lives in Vienna; I think I’ll go and check out flights so that I can drag her down there for a slice or six. Room for one more at that table? …AND for the six slices I’m gonna order? Come along, please. This will be the ultimate cake-eating bonanza. Mrs Playmo will come along too, to be judge and jury. Ladies, I admire your keen resolve to leave no cake unturned. You are this week’s Cake Champs.